Aftershock is updating its gaming notebooks with Intel’s new 8th-generation processors. The new processors boast more cores and threads across the board, which translates into overall better multi-threaded performance and improvements in games that can take advantage of the additional threads. The star of the show is probably the Aftershock PRIME-15, the company’s flagship ultraportable 15.6-inch gaming notebook. 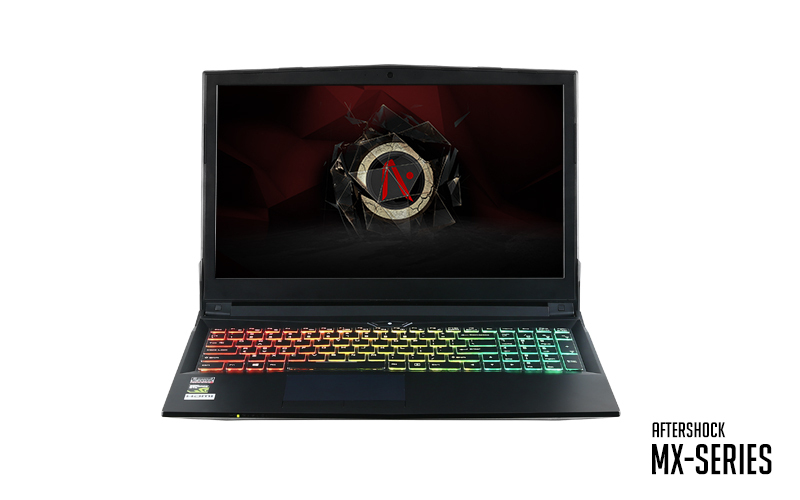 It’s a good fit for those looking for both performance and portability, and it can be outfitted with up to a hexa-core Intel Core i7-8750H (2.2GHz, 9MB L3 cache) and an NVIDIA GeForce GTX 1070 Max-Q. It also measures just 18.6mm thick and weighs 1.9kg, so you can take it around easily with you. In addition, the display has been upgraded to a 144Hz AHVA display, which should give you a butter-smooth gaming experience. Aftershock says it’s looking to make high refresh rate displays like this one a mainstream feature, even on entry-level models, so you can expect the feature to soon be a lot more accessible.